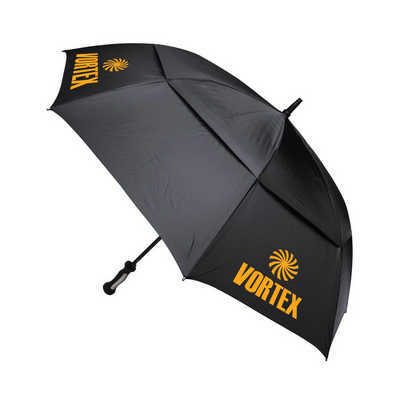 Looking for a â€œtop of the rangeâ€� umbrella that will stand up to the elements, then look no further. Blizzard is made using a super-tough all-fibreglass frame designed to protect you in the most ferocious of storms. It also incorporates a vented canopy, netted interior (to prevent canopy distortion), non-slip rubber tip, automatic open function and rubber-feel â€œgripperâ€� handle. Available in black or navy. 30 inches. Nylon pouch. Black, Navy. Price includes: Printed 1 colour / 1 Panel. Setup is included.